It’s quite remarkable how even a basic audio/video system can transform an unused hall or room into a creative environment for music and performance arts. As part of our consulting function, we like to learn as much as possible about the intended use of all areas within a university campus or performance venue, to maximize their usefulness for students, faculty and users. For both ground-up and conversion projects, our wide experience with such projects means that we can better understand the ambitions a dean or facility manager may have for these found spaces, and help manage their expectations. One interesting example comes to mind. 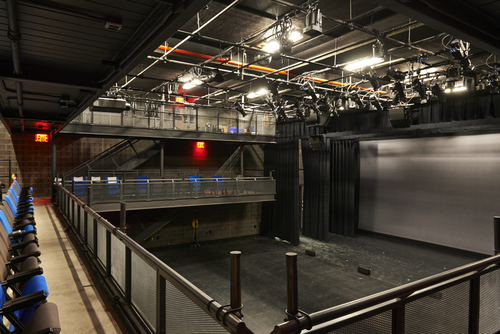 As part of a $40 million expansion to Brooklyn’s historic Strand Theater, which is home to BRIC Arts Media, we designed a site-specific AV system for each of the performance spaces and various classrooms. We also worked up infrastructure for the TV and recording/broadcast facilities. 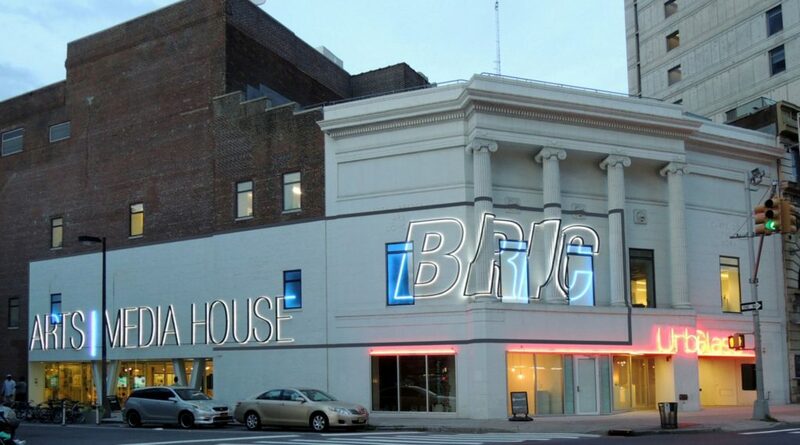 BRIC, which stands for Brooklyn Information & Culture, is a non-profit organization probably best known for its annual Celebrate Brooklyn summer concert series. Because of BRIC’s ever-changing program, additional flexibility is needed within each of the theater’s multi-use performance and ancillary spaces. After studying the floor plan, JH and the design team realized that a lobby area, with the addition of a modest AV system, could serve as a pre-event meeting area and sophisticated performance space, while a rehearsal room could double as an additional performance space with a portable PA sound system. Other spaces, we determined, could accommodate additional production and cultural events, including student dances and basic theatrical presentations. For added flexibility, we divided the BRIC project into several incremental phases. Phase 1 focused on the technical infrastructure and data distribution in addition to wiring the entire building for broadcast with analog and digital tie lines. We ensured that there would be sufficient conduits, ethernet links and other interconnects to allow permanent or temporary AV systems to be added at a later date, including additional surround-sound loudspeakers. As will be readily appreciated, it is far more expensive to add such capabilities after a project is completed and the facility is in regular use than during initial construction. For Phase 2 we might recommend that, for example, a basic AV rig should be replaced by a more powerful system that matches the evolving needs of a performance or production space. Or maybe additional cabinets can be added easily to a line-array system to provide improved sound coverage for larger concerts and similar events; with suitable wiring hookups already installed as part of the original technical infrastructure, such updates would only require a minimal number of staff and resources. 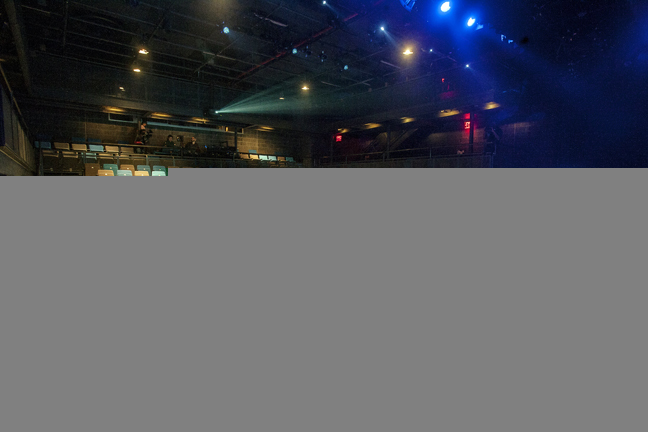 We are also coordinating a similar incremental upgrade project for The Paramount Theatre in downtown Brooklyn, NY, which since 1954 has been owned by Long Island University and has been used as a gymnasium instead of a theater. The renovation will allow the theater to re-open in 2019 as a performing arts venue, using current space for sporting events and a 1,200-seat, multi-purpose arena, formerly home to the Brooklyn Kings basketball team, while retaining much of the building’s original decorative detail.